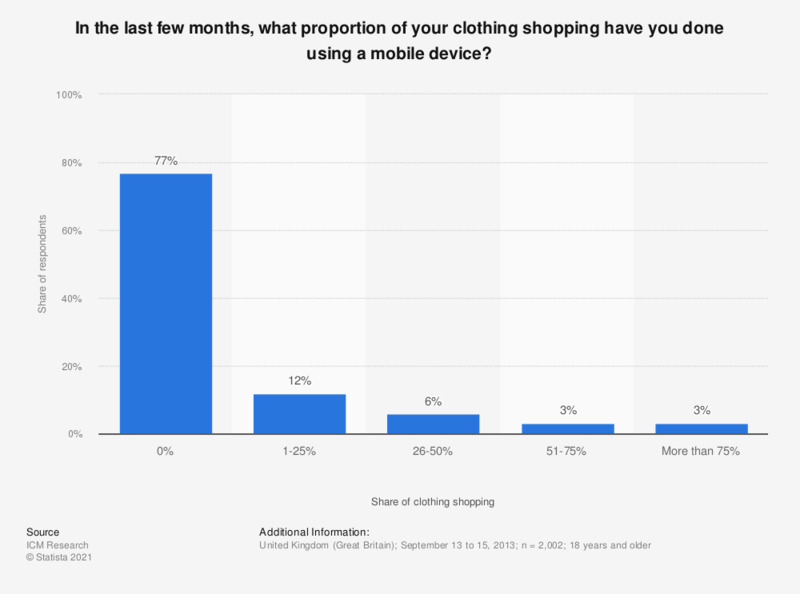 This statistic displays the share of clothing shopping done via mobile device in the UK in 2013. Of respondents, 12 percent reported one to 25 percent. The greatest share of UK respondents reported performing zero percent of clothing shopping via mobile device.